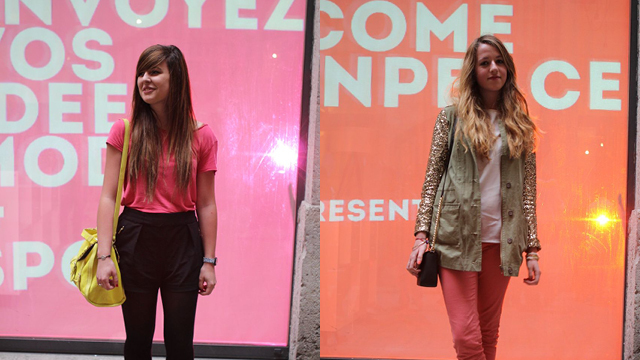 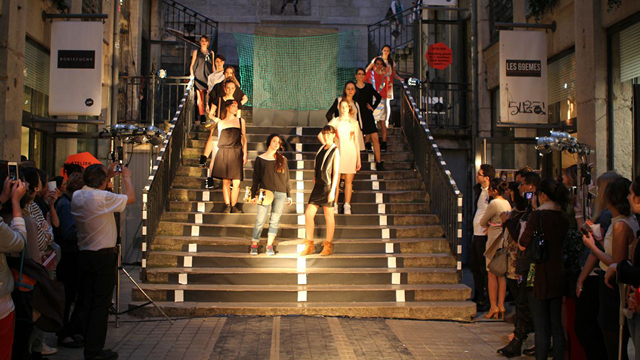 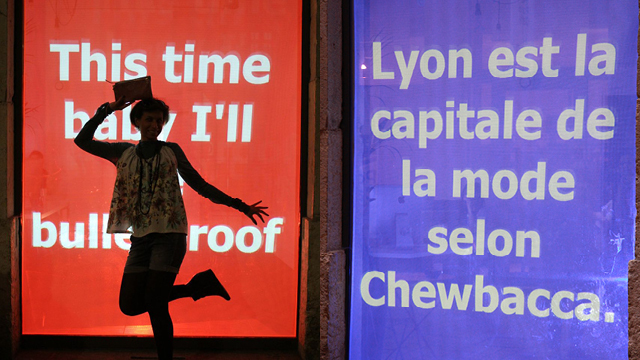 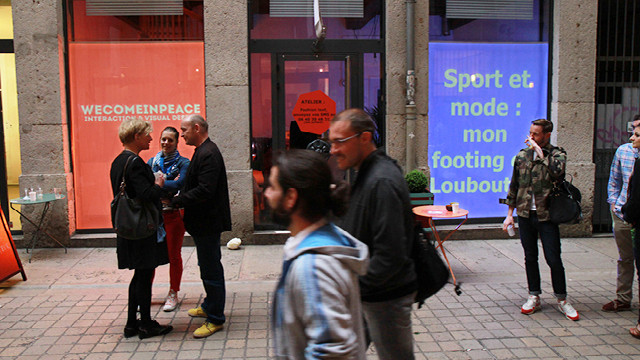 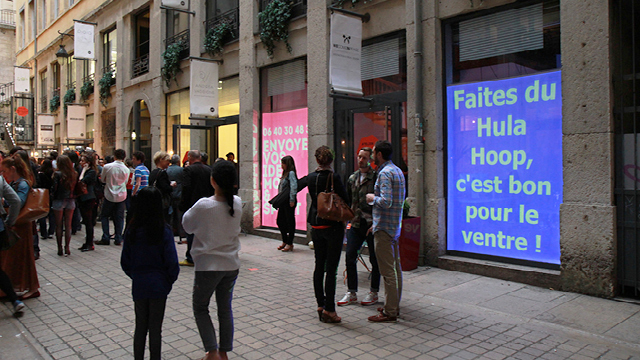 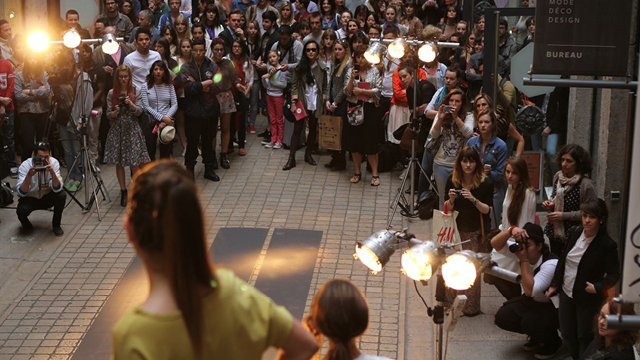 The Village des Créateurs organized a Spring / Summer 2013 fashion parade in Lyon Passage Thiaffait. 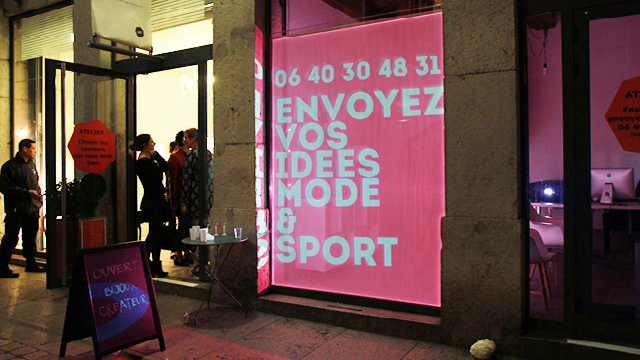 The theme was Fashion Sport. 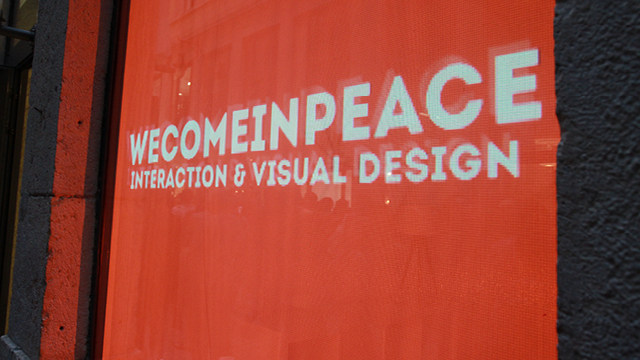 For the occasion WECOMEINPEACE proposed Fashion Text animation for the public to share ideas by SMS about Sport and Fasion with our SMS wall solution.